It’s certainly been an interesting few months when it comes to the remake of the ‘Ghostbusters‘ movie from director Paul Feig that stars and all female cast of Ghostbusters. The first trailer quickly became the LEAST liked video on YouTube and there has been an abundance of people who have expressed their disdain for this new film, even without watching the entire movie. Their disdain and unpleasant comments I imagine come from not having the original cast do a sequel, which is what we’ve wanted for a number of years now. And it seems like this is a just a cash-grab for something we’ve already seen before. Going by this new trailer and the previous one, there certainly seems to be a ton of similarities with the original ‘Ghostbusters‘ movie. That being said, Paul Feig hasn’t made a bad movie yet. I really enjoyed ‘Bridesmaids‘, ‘The Heat‘, and ‘Spy‘, not to mention ‘Freaks and Geeks‘. I know this is on an entirely different level, but I won’t judge anything until I see the entire film. I think this trailer looks fun and quite good, despite it looking like the same movie as the original, but I love the cast and the whole universe that ‘Ghostbusters‘ takes place in. With that said, I hope you enjoy the new ‘Ghostbusters‘ trailer and certainly let us know you thoughts. 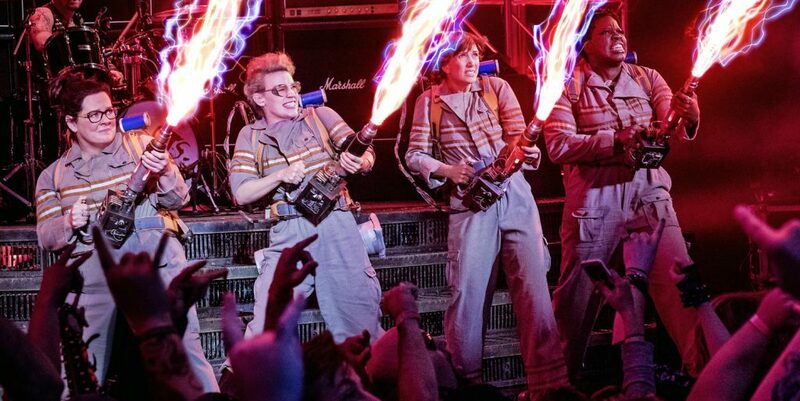 The New ‘Ghostbusters’ Trailer is out! Paul Feig Introduces The ‘Ghostbusters’!!! This entry was posted on Wednesday, May 18th, 2016 at 9:15 am	and is filed under Film, News. You can follow any responses to this entry through the RSS 2.0 feed. You can skip to the end and leave a response. Pinging is currently not allowed. « The Trailer For ‘Lethal Weapon’ TV Series Is Here & It Looks Great!! !